Russia’s GDP growth turned negative in January, with the lowest investment since 2010. Analysts say uncertainty surrounding the ruble, which hit its all-time low against the euro on Wednesday, is weighing on the economy and could drag it into recession. Russia’s GDP shrank during the first month of 2014, though so far there are no exact numbers, a source told the Vedomosti newspaper. Inward investment slid 7 percent year on year in January, as real income was down 1.5 percent and wages grew the slowest since 2009, according to Wednesday's report by Russia’s statistics service Rosstat. Retail growth also slowed to a four-year low at 2.4 percent. The investment slump, slowdown in consumer demand and a real fall in personal income is all very alarming, said Alexander Morozov from HSBC. “Even if we don’t fall into recession, we shouldn’t account for an economic recovery,” Morozov said. Though a recession is now a real threat for Russia, it’s too early to make any far–reaching conclusions, as technically it is defined as two quarters of economic contraction, the HSBC analyst explained. 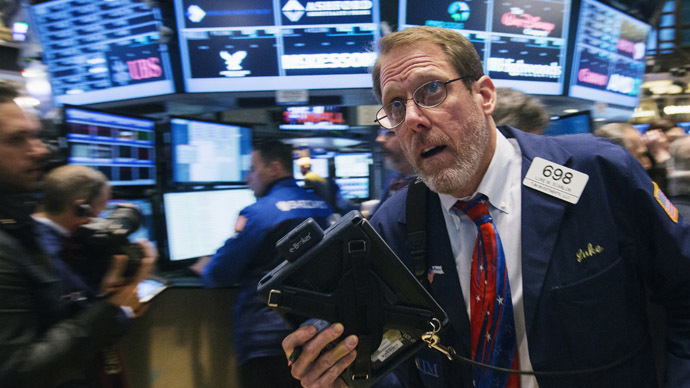 “My forecast for investment was extremely pessimistic – minus two percent. And given such a sharp slowdown in retail, I don’t exclude that the economy is de-facto in recession,” says Evgeny Nadorshin, an economist from AFK Sistema. 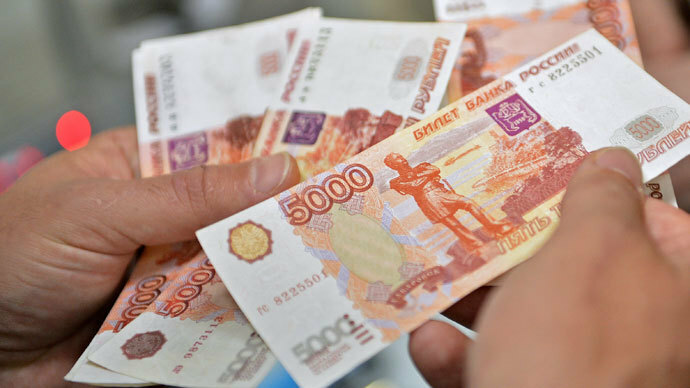 Currency operations have become more attractive for Russians than economic activity, as the Russian ruble is being extremely volatile, explains Natalia Orlova from Alfa-Bank. This is a bad signal, as similar things were happening between the autumn of 2008 and the start of 2009, Orlova said. “Everybody has stopped dead, nobody knows what will happen with the ruble,” agrees Valery Mironov from the development center of the Highest School of Economics. Ruble devaluation will benefit Russian exporters, but it won’t have any effect on investment, as the companies will keep their money in dollar accounts abroad, Mironov said. 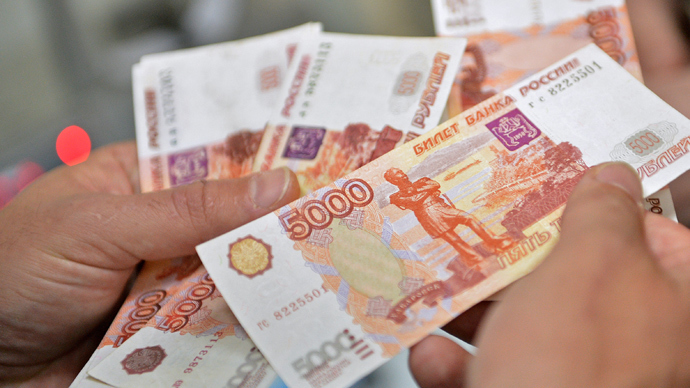 On Wednesday the Russian ruble plunged further in initial trading, hitting another record low against the euro. The currency dropped below 49.0 to the euro for the first time, to show a fall of 8 percent so far this year. The euro was buying 49.01 rubles, and the dollar rose to 35.61 rubles. Analysts say the recent fall was caused by the announcement by Russia’s Ministry of Finance that it would buy about $6 billion (212 billion rubles) from the market by the end of May to transfer additional oil revenue to the Reserve Fund. 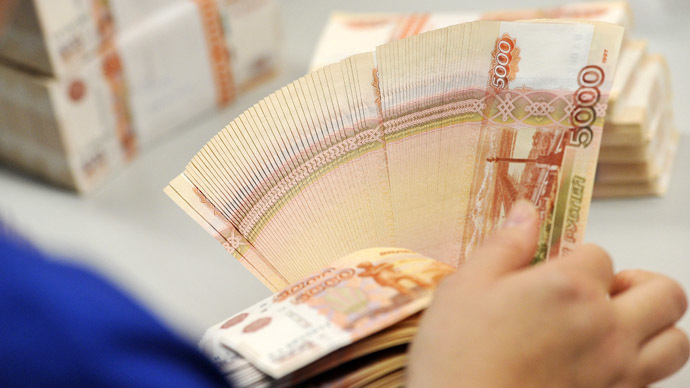 The so–called banking “clean-up” in Russia was another huge blow to the economy, as the country’s banks have cut lending and people are shifting their savings from smaller banks to big state-owned ones, Nadorshin said. 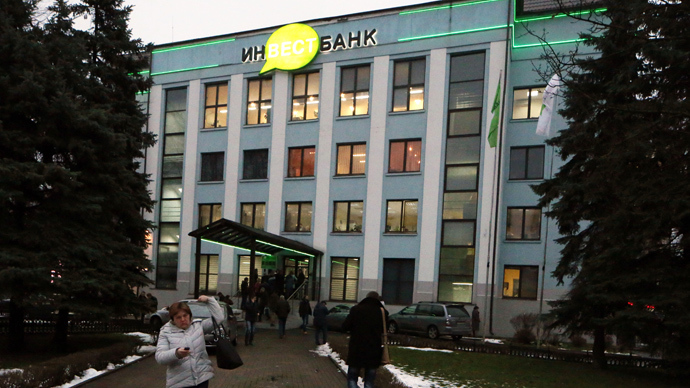 In December banking deposits grew at the slowest rate in 13 years, with the country’s biggest lender Sberbank being accountable almost for the entire growth, Vedomosti reports. 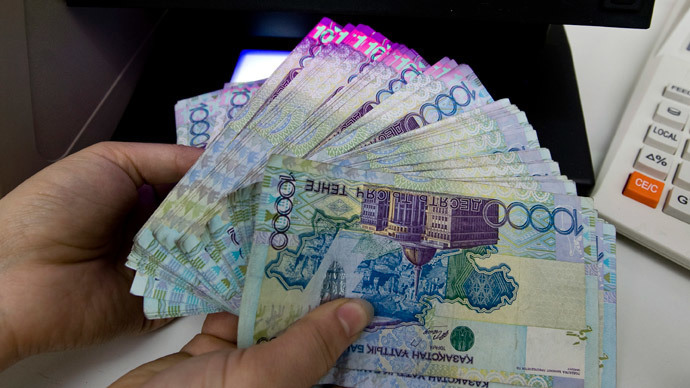 Kazakhstan’s currency devalued 19%, as Russia’s ruble slides. Who’s next?